Envoque MD has built a team of collaborative experts that are dedicated to serving the well-being of their clients. Our mission is to address the whole person by integrating different modalities in a safe, effective, supportive environment. Our team brings together the latest weight loss technology with sound nutrition, exercise, and education that can change your life forever. Each of our skilled practitioners has years of experience in helping people just like you achieve their weight loss goals. We look forward to the opportunity to partner with you in seeing your dreams become reality. As an entrepreneur and wellness expert, Jacqueline helped pioneer the use of medical-grade, doctor-administered HCG here in Arizona. Her innovation and energy has helped create one of the Valley’s most comprehensive and successful wellness clinics in Arizona. Jacqueline has been published in numerous magazines, websites, she has also appeared as a regular guest on ABC, Fox, and other media outlets as an expert on weight-loss and wellness. Dr. Hobi was born in California and spent her formative years in the states of Washington and Oklahoma. She earned a Bachelor of Science degree in Biological Sciences from the University of Oklahoma. Prior to medical school, Hobi understudied with a long time Naturopath in Oklahoma, Drue Landes, whom she credits for her inspiration to become a licensed Naturopathic Medical Doctor. Dr. Hobi attended medical school at Southwest College of Naturopathic Medicine in Tempe AZ. Where she was active in Student government and leadership. As a former Artistic Director, educator, Fine Arts studio owner and award winning choreographer, Hobi has developed a specialty for treating stage professionals and athletes from very young age of development to maturity specific protocols to achieve and maintain optimal performance. Her additional interests in medicine include Longevity, Anti-aging, Regenerative and Restorative Medicine, Endocrinology, Medical Aesthetics and Sports Medicine. In her spare time Dr. Hobi enjoys music, travel, performance arts, and spending time with family and friends. Kem has 20+ years of leadership experience in the medical and customer service field. Shannon comes to EnVoque MD with a varied and unique background. 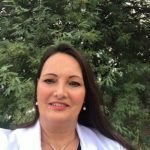 She has both medical experience as a Medical Assistant, and honed her sales experience starting, and running her own successful business. She has lived all over the United States, and brings wisdom, compassion, and fun to her job. Shannon is the front lines for starting your journey with EnVoque MD. She takes an educational approach to explain what Bio-Identical Hormone Replacement Therapy is, how it can make a difference in your life, and how our program works. She guides all of our new clients through the process, and helps get them started on their own journey to better health and happiness. Shannon has her own remarkable journey with EnVoque MD, and can tell you first hand what a difference it has made in her life. 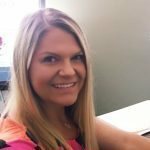 Angela is a graduate from Arizona State University, majoring in Health Science and specializing in Healthy Lifestyle Coaching. She has been working in the Medical field for over 10 years, with extensive pharmaceutical knowledge and background. 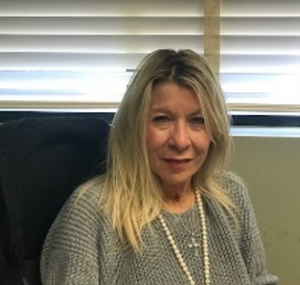 Angela’s main focus is to help clients achieve optimal health through developing customized dietary and behavioral modifications. Angela understands first-hand the challenges her clients face when beginning their own wellness path, having been successful in losing over 100 lbs. herself. She is able to help motivate, educate, and support individuals towards their personal goals around nutrition, exercise, and healthy lifestyle choices. 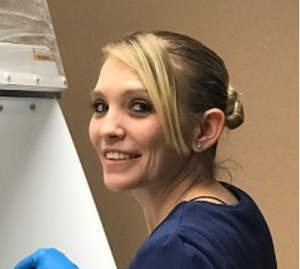 Michael is a graduate of The Bryman School of Arizona, where she received her certification as a Pharmacy Technician in 2011. She went on to receive her Certification in Sterile Compounding in 2013. Her passion lies in working in the holistic, anti-aging field, helping to produce the best natural hormones, and supplements available. Michael makes the magic happen. She is the specialist who formulates, and compounds the hormone medications that the doctor prescribes. She makes sure that you get the highest quality, best product available on the market, and that you get it in a timely manner. Jeff and Karina are the behind the scenes wizards, making sure phone calls are answered, supplements mailed out, and all questions answered. They keep us all focused, and on track. Jessica and Karla are the amazing MA’s who keep the Doctors moving. Whether it’s making sure your prescriptions are filled, giving injections, or getting your vitals checked, they always have a smile, and the answers you’re looking for.